I might not be racing any longer, but that doesn't mean that I've stopped tinkering with sports cars. 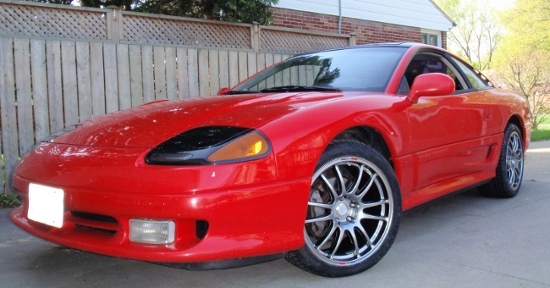 In 2005 I bought a 1993 Dodge Stealth Twin Turbo. This section of the site is to document the various repairs, tweaks, and modifications done to the Stealth. Why a Stealth? That's easy - because it weighs on the order of 3800 lbs. Ever other car I have owned (with the exception of a 1988 VW Jetta Diesel) has eventually morphed into a race car. That transformation brings along with it a series of tradeoffs. Things like "won't start in the cold" or "runs on 118 octane fuel" or "has no heater or air conditioning". My wife - bless her heart - has been very tolerant of my tinkering in the past, but what happened to the Talon represents a line in the sand. No longer am I allowed to convert our supposed "street car" into a track-only, race-only beast of a machine. The fact that the Stealth is just so damn heavy makes it totally unsuitable for conversion to a race car, so by buying a Stealth, I keep my marriage. I still get to tinker, so long as at no point do I compromise the comfort, streetability, or driveability of the car. That's an interesting goal, and the Stealth makes for a good platform for a fast, fun, and comfortable GT car. It's my Japanese Ferrari. That's the aim of this site - to document my efforts to rebuild and enhance a car that is as good looking, fast, and handles well, but is still as streetable as a modern Ferrari GT.